On Monday, the National Gallery of London transferred security services for its Sainsbury Wing over to the private security company CIS. The move is the latest in a bitter dispute over the privatization of a huge number of jobs at the museum: 400 of 600 positions, or two-thirds of the institution’s entire staff. The National Gallery has been on a path to privatization for some time. News of the plan first came last summer, and in the fall the museum outsourced the guarding of its Rembrandt: The Late Works exhibition to CIS. That was met with a 24-hour strike by the Public and Commercial Services (PCS) Union, “the UK’s largest civil service trade union.” Since then PCS has organized several protests and days of action to fight the privatization and is now voting internally to authorize a series of consecutive strikes in February. In common with many other publicly funded institutions, the National Gallery’s funding from Government is falling. We therefore have to increase funding from other areas, such as events, retail and commercial activities. Many people and groups which support the Gallery would like to make use of its facilities outside of normal opening hours. These help us raise the extra money we need to continue to provide the wide range of services on offer to the public and schools that might otherwise be affected by the reduction in our grant. In order to do this, we need to be able to guarantee the provision of essential security and services. Put simply, if the Gallery is to continue to thrive as a public entity with reduced public money, change is essential. There is no option that allows everything to stay the same. There is a strong sense from the Executive that the quality of our VSS team is best served by establishing a well trained and committed workforce in house, with a good understanding of the Gallery’s specific circumstances. Maintaining this level of knowledge and commitment is a concern raised by those who have sought to outsource equivalent services, and the TUPE regulations suggest that in any event current terms and conditions would remain. The benefits are therefore unlikely to be significant in the short term, and this option has not been evaluated in detail at this stage. The National Gallery is “a non-departmental public body” of the UK government’s Department for Culture, Media and Sport, according to its website. Its art collection “belongs to the people of the United Kingdom.” But its increasing reliance on private funding and resources reflects the increasingly blurry line between public and private institutions, as well as the privatization trend affecting everything from libraries to prisons. 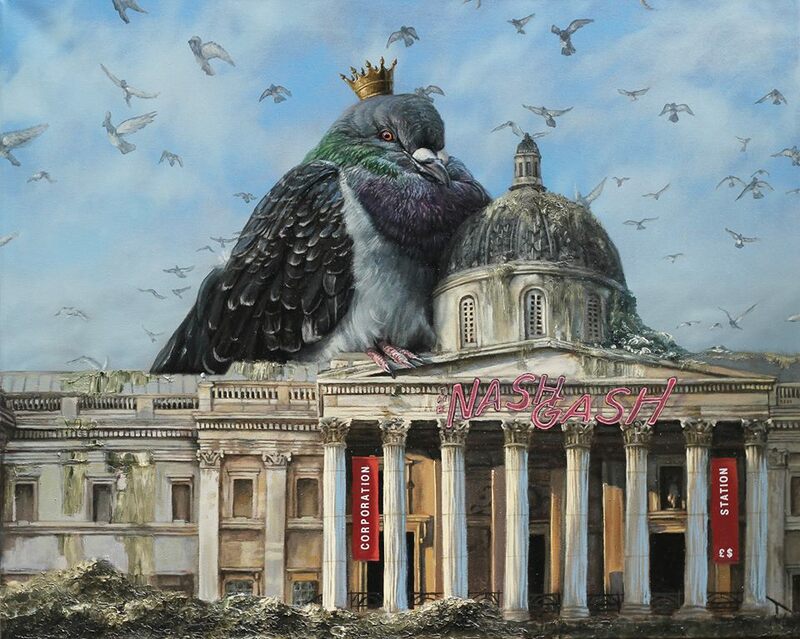 Still, a protest took place Monday evening in front of the National Gallery in Trafalgar Square, and an online petition addressed to National Gallery trustees and the government has thus far garnered 37,819 signatures. PCS members continue voting on potential future strikes until Friday, and a yes “is likely to lead to the union announcing several days of consecutive strike action in February,” the organization says. UPDATE, 1/28, 11:44am ET: PCS members have voted more than nine to one in favor of a strike, the BBC reports. 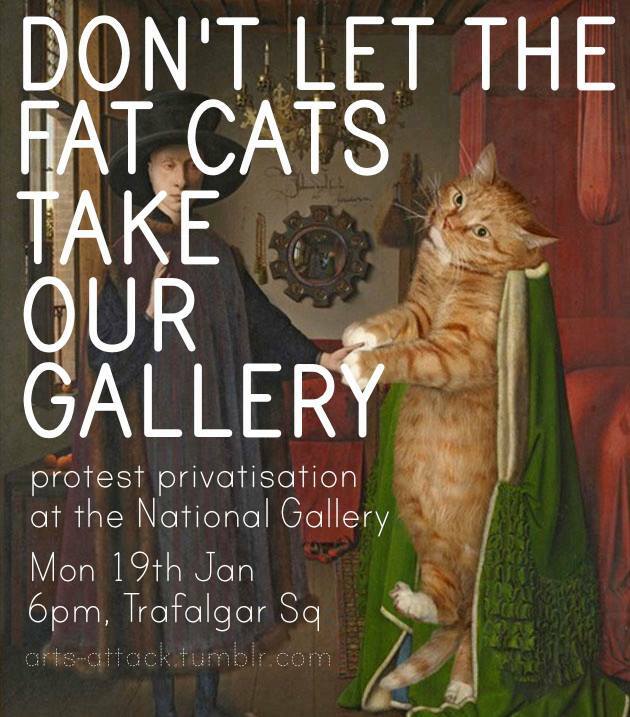 The union will stage a walkout at the National Gallery from February 3 to 7. The institution says it is “disappointed” by the vote and will remain open throughout the strike; however, all educational programs during that time will be canceled.